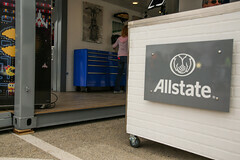 Allstate has an amazing brand with a special connection to their markets. 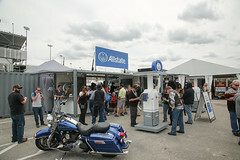 To promote their motorcycle insurance, Allstate charged global sports and entertainment marketing leader, Octagon with their ’66 Filling Station campaign. 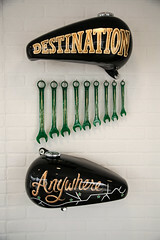 The tour, which has been ongoing for years, focuses on rallies and indoor shows for biking enthusiasts. 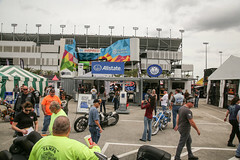 Last year, they decided that it was time to elevate their footprint to deliver an experience that’s emblematic of the brand’s quality and speaks to the biker community. 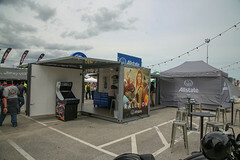 Because Allstate ’66 Filling station tour would activate at indoor and outdoor events, with a wide variation in footprint size and shape, their event space would need to be modular. 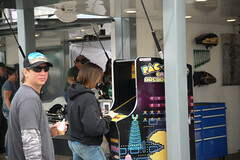 This would allow them to be flexible with each pod and set up their activation based on the allotted space at the individual location. 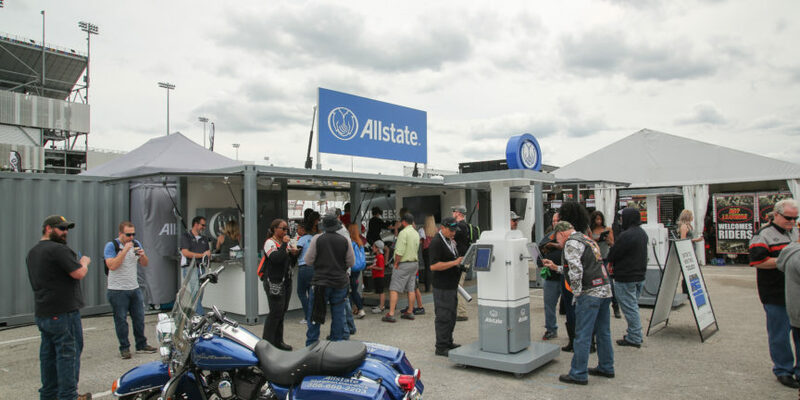 The space should be visually interesting and inviting, to attract motorcycle buffs and provide a space for ambassadors to gather information and engage potential customers with Allstate’s brand and insurance products. 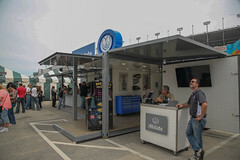 To accommodate their needs, and to give the concept some flare, Octagon and Allstate decided to utilize two of Boxman Studios’ purpose-built containers and a 10’ repurposed container as the foundation for their activation. 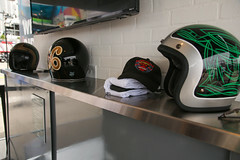 The aesthetic of the units interchanged between a 60’s Soda Shop, where brand ambassadors handed out root beer floats, and a biker bar, where adult beverages could be served. 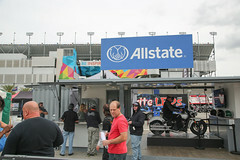 Octagon and Allstate love the space. And looking at the event photographs, it looks like attendees agree! Together, our clients pulled off an exceptional experiential tour and are working on plans to continue through 2019! We’re unbelievably grateful to be a part of this influential activation and can’t wait to see what’s in store for the future!